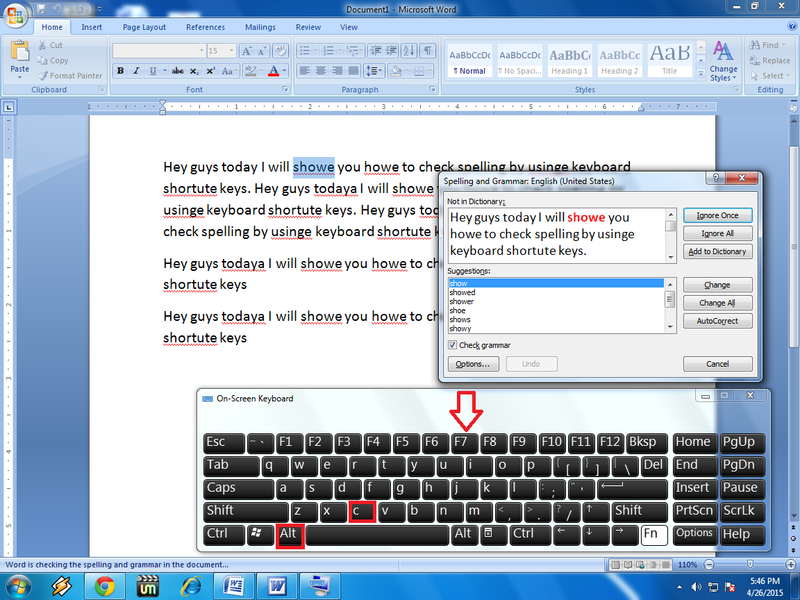 Hey guys, this is MJ today I am going to show you, shortcut key for spell check in MS Word. 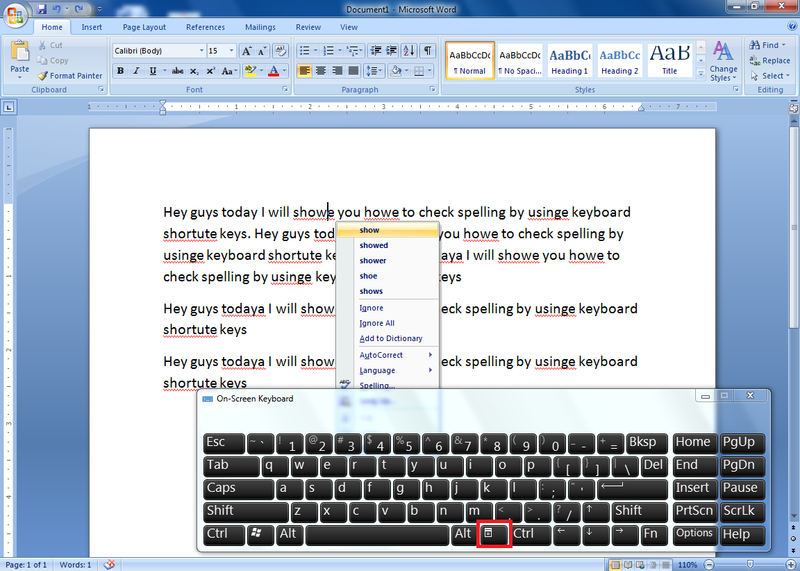 You can check spelling mistake easily in Microsoft Word by using keyboard shortcut keys, this key will work all the version of Microsoft Word, like.. 2003, 2007, 2010 and 2013. Lets see how its work. 1. Keep the cursor on the word and press “Menu” key, this is key to check individual spelling mistake. 2. To check entire document press “F7” button, you will get dialog box of spelling suggestion. 3. If you want to change the spelling press “Alt+C”, by continuous pressing of Alt+C it will search and correct your all spelling mistake.